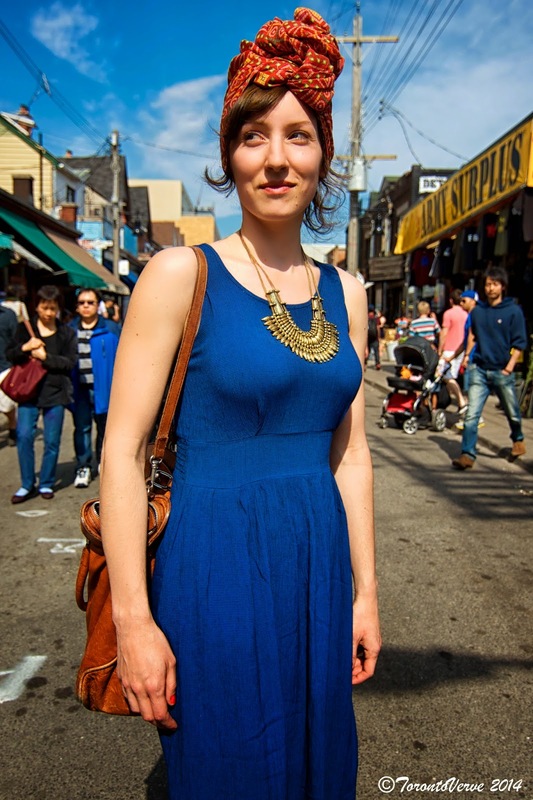 Marika: "My style is ethno-funky vintage. Erika Badu inspires me. I love how she makes her hair and head pieces look so glamourous. I'm also inspired by indigenous tribes. Their jewellery is more authentic and hand-crafted. I'm not into minimalism. I found this head-wrap floating in the Ganges in India." Marika: "My grandmother once said that she never met a person she didn't know. She treated you like she'd known you all her life. She was super-friendly and approachable, and I could definitely heed her advice because that's not what I am like." Check out Kosa Kolektiv -- a website that Marika and her friends run. 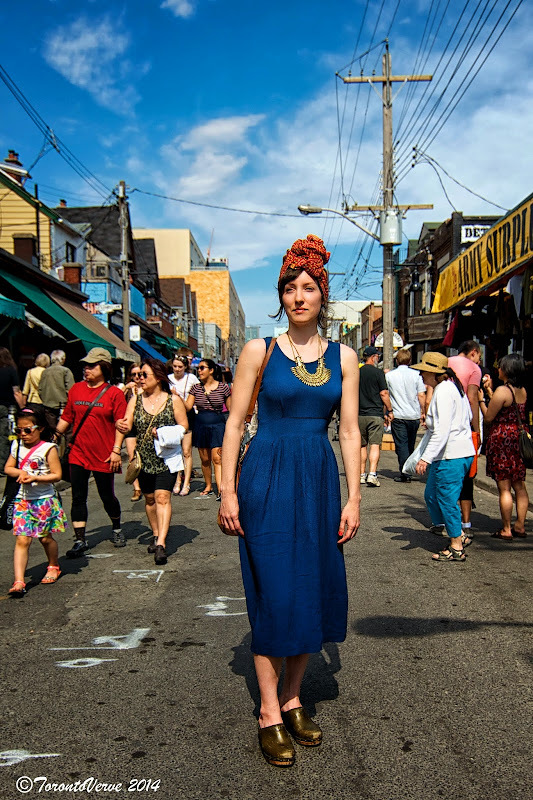 "It's a folk-art group that's revitalizing Eastern-European folk culture in Toronto through craft workshops and singing." Wow! I will definitely check out Marika's posts on her Kosa Kolektiv website.